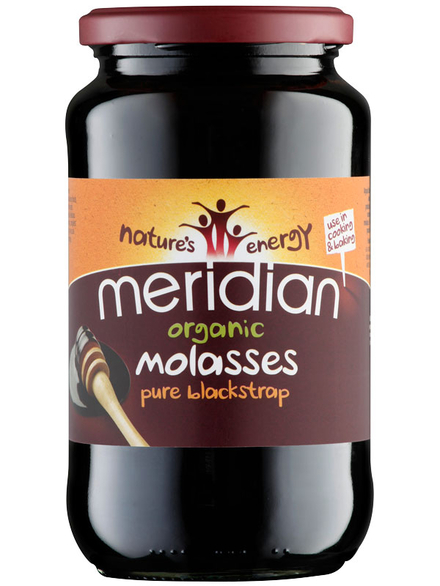 Blackstrap Molasses, Organic 740g (Meridian) - HealthySupplies.co.uk. Buy Online. A thick unrefined sweet syrup sweetener. Perfect addition to porridge, soups, sauces, salad dressings, smoothies, fruity puddings, ginger breads and biscuits. Completely pure and organic - no additives! Full of nutrients, including: Calcium, Magnesium, Manganese, Potassium, Iron and Vitamin B6.